….and quickly learned that this is an initiative that We Are All About! The whole idea involves completing selfless acts and doing kind things for neighbors, friends, even strangers with the sole motive to cheer someone up or bring joy to their day. We believe that acts of kindness can happen any day, at any time. Our RAK journey started when Feed the Streets RVA , a nonprofit organization in Richmond VA, came and surprised us all with pizza for lunch. The act made us happy. We were excited that somebody thought about us. We showed our appreciation by telling them how grateful we were and giving lots of thank yous, but got to thinking, what if we could make someone else feel this excited, happy, and good? We decided to PAY IT FORWARD – or respond to their kindness by being kind to someone else. By doing this, we hope to keep the kindness floating around. We brainstormed ways to spread the love, and then picked our favorite to work on first: The compliment project. Watch our kindness story, and remember that you too can spread the love. The Random Acts of Kindness Foundation has a huge list of things that you can do to pay it forward. Check out this resource for cool ways to be kind! Feed the Streets RVA is a nonprofit organization with the main focus to support poverty stricken individuals in our Richmond communities, but their outreach does not stop there. 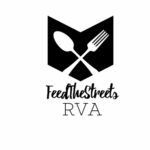 Through acts of kindness, volunteer work, and partnering with other organizations, Feed the Streets RVA has supported several initiatives with the goal to spark positivity and change in RVA.